The regions of Central Scotland and North East Scotland are not only home to some of the best golf courses in Britain but in the entire world. There is no place in the world with as much premier golf courses to enjoy your favourite sport as this part of Scotland. So if you are looking for a perfect weekend golfing experience, Central and North East Scotland are without a doubt the right place to go. Fife should be visited at least once in a lifetime by every golfer. It is the place where it all began and for many golfers, it is a “sacred place”. Here, you can enjoy playing golf at the “home of golf” – the Old Course at St Andrews which is believed to be the oldest golf course in the world. But keep in mind that it is a golfers’ Mecca, so plan your visit well ahead. In case St Andrews is already booked out, do not despair though. Just 6 miles south of St Andrews is another gem that will delight even the most demanding golfer – Kingsbarns Golf Club, while further south is the Balcomie Links that is worth visiting as well. And then there is also the Ladybank Golf Club in the town of Cupar which is one of Scotland’s finest inland courses. North from Fife is the Perth and Kinross region that does not have as many world-famous golf courses and no links. But it has spectacular moorland and heathland tracks that make playing golf here an absolute delight. 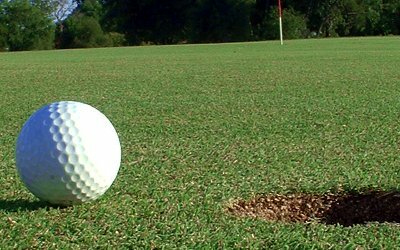 Some of the must-visit golf courses in the region include the Gleneagles Golf Courses at Auchterarder, the Pitlochry Golf Club near the Cairngorms National Park and the Blairgowrie Golf Club that is about 20 miles from Perth. Angus and Dundee region that borders Perth and Kinross is another golfers’ favourite destination in this part of Scotland, especially those who prefer seaside golfing. Some of the finest courses in the region include the Carnoustie Golf Club and the nearby Panmure Golf Club, the Royal Montrose Golf Club on the north and the Downfield Golf Club that is situated on the outskirts of the town of Dundee. On the very north east of Scotland lies the Aberdeenshire and Moray region that is best known for its spectacular links with picturesque views of the North Sea. 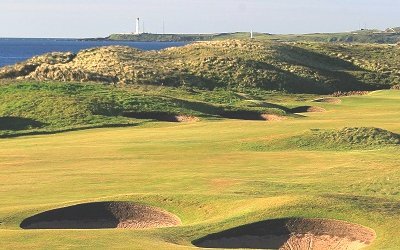 If you want nothing but the best, we recommended you to book a round at the Royal Aberdeen Golf Club, the Crumden Bay Golf Club or the Murcar Links Golf Club. Central region, and Agryll and Bute are also home to many hidden gems that offer perfect weekend golf holidays. To mention only a few - the Glenbervie Golf Club sponsered by Buchanan Castle, Stirling and Alloa in Central Scotland, Titleist 915 D3 Drivers course and Machrihanish and Mahrie in Agryll and Bute. Both of the latter two golf courses are little bit remote but are most certainly worth the effort.